In celebration of Dia de los Muertos, the Mexic-Arte Museum hosted the 35th annual Viva La Vida Parade and Festival. Every year, the museum honors legendary Mexican artist Frida Kahlo. 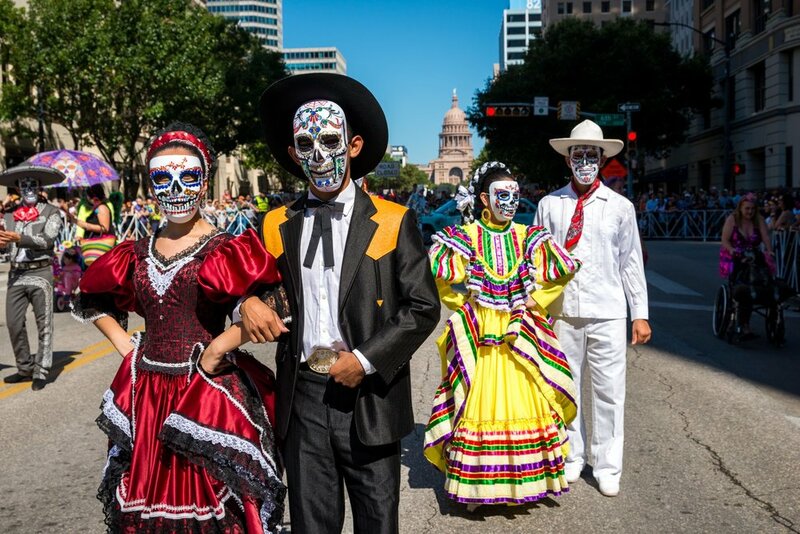 Viva La Vida is Austin’s largest and longest-running Day of the Dead celebration, attracting thousands of attendees to come together and embrace Mexican culture.The parade and festival features dancers, live music, costumes, and handmade props. Mexic-Arte curator of exhibitions and programs Rebecca Gomez says there are not many museums dedicated to the display of Latin American culture. “I think that it’s important that we have this event so we share a little bit about this culture because even those of us, those people that are Mexican-American, may not know about Dia de los Muertos so this a great way to educate the public about it,” Gomez says. Each year, the parade displays a ‘Mexico Lindo’ section honoring Mexican artist Frida Kahlo. “We have a big mojiganga, which is like a puppet of Frida, and then we have a smaller version of her, as well as some banners and then we always have people that dress up like Frida that join the parade as well,”Gomez says. Many people come to the parade for the Mexican culture, like Sheena Hannan, who’s attended for the past three years with her two daughters. “I think it’s really important to keep our Mexican heritage alive. We have that in our family and we still identify with it, and we like to have this as part of our history,” Hannan says. Other attendees, like first-timer Antonio Lopez, just happened to be in Austin today, but also has a special connection to Kahlo. “It’s fantastic. Frida Kahlo is one of my favorite artists, and you know, the history with her,” said Lopez. As soon as this year’s parade concludes, Mexic-Arte museum staff will begin planning next year’s festivities for the traditional holiday.